With President Obama’s recent announcement about ending the war in Iraq, we wanted to showcase our full support to our servicemen and women. That’s why we are asking all of our friends and families to head over to BFF’s Facebook Page and post a photo of someone they know who has served our country! If Facebook isn’t your thing, then feel free to email your photo to info@bff.tv and we will be more than happy to post it in our photo album! Be sure to include your loved one’s name and title. If you don’t know someone, personally, who has served – don’t worry. 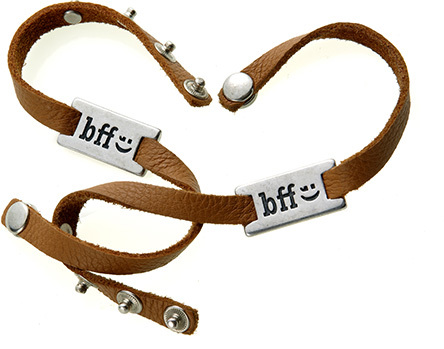 You too can show your support for the troops by sending us a picture of you with your BFF Bracelet! If you are unfamiliar with our BFF Bracelet we’ll give you a quick run down: Together with the American Freedom Foundation (AFF), we are connecting America with friends in the military. Purchase 2 bracelets (one for you, one for your Best Armed Forces Friend) and your purchase will help fund charities that support members of the armed forces and their families! Let’s show our support for the men and women who have risked their lives everyday for our safety!